Know how much you can afford. If you're going to need a mortgage, a good first step is to sit down with a mortgage professional to figure out how much of a mortgage you can afford. Many mortgage brokers and bankers will pre-qualify you for a mortgage at no charge. 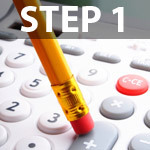 You can also use the mortgage calculators to the left to give you a basic idea of the amount of a mortgage you may qualify for, and how much your monthly payment will be based on the sale price. Choose your home site and type. Selecting the right site and house design are keys to your ultimate satisfaction. See the available sites on our site-plan and schedule a visit to Goddard Highlands to select the site you are interested in. 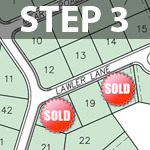 Then select from one of the available house plans the we offer. Contact us to arrange for one of our representatives help you with the selection process. Reserve your home site. At this point you can secure the site that you've chosen. Simply fill out and submit a reservation form and this will hold the lot for 10 days. 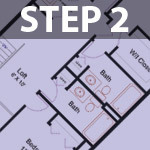 Finalize your floor plans and design selections. Now comes the fun part – Designing your ultimate home. Work with our design experts to select the right home design, floor plans and design elements to fit your lifestyle. You can check out some of the amenities we offer on our features list. Apply for mortgage financing. Now you should have a Purchase & Sale agreement and an estimated closing date, and be ready to apply for financing. Our sales staff will be able to supply you with any necessary documentation that the bank may require to secure your loan. Remember to apply early, as the approval process can take quite some time. Closing. Congratulations, it is time to close on your new home and move in. We will work with you and your loan representatives to complete all the necessary documentation and procedures to finalize the sale. 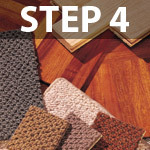 This will include a final walk-thru to insure that all work has been completed to your satisfaction. 1 Year home warranty. At Goddard Highlands, our service doesn't end once you have closed. We want to make sure you are happy. 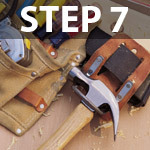 If something goes wrong with your house within the first year, we will make it right at no charge to you.